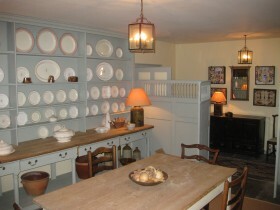 In addition to experiencing the wonderful gardens, visiting Groups are treated to a private tour of the house and to tea and home made cake, served in the historic kitchens, which have been restored to their original Georgian glory. Light lunches are also available for groups by prior arrangement. 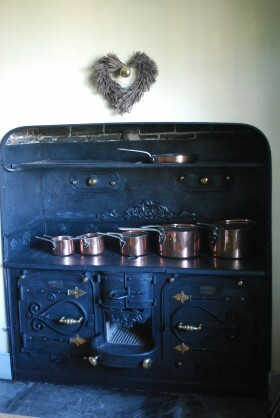 The original kitchen range was made in Truro and is very rare…indeed if you visit the Truro Museum you’ll find a single-oven range there by the same firm. Bosvigo is a well-loved and lived-in family home, complete with a resident ghost, reputed to linger in the Blue bedroom! Please contact Wendy to inquire about group bookings. We hope you enjoy your visit!